«Its all about the engine», some people say. «Aero is everything», is the claim by Specialized. What is correct? The obvious answer is; both play a huge part in bike performance. More correctly, its all about the relationship between power and aerodynamic. At least that is the case for time trails. In triathlon, we got the energy efficiency and the running followed after the run which makes things slightly more complicated, but I will try to leave those factors out in this post. Being in aero position or sitting up, what is the time difference? That is the question I will try to give a decent answer to in this post. The rider accounts for roughly 80 % of the aerodynamic drag. Less for a good position and more for a bad position. Then you might think that the rider’s position is very important for the aerodynamic and overall bike performance. That is absolutely correct. Rule #1 for improving aerodynamic performance is, therefore, to focus on the bike position. Do that before clothing, wheels, aero helmet and bike (getting the optimal position most likely require a triathlon/TT-bike). 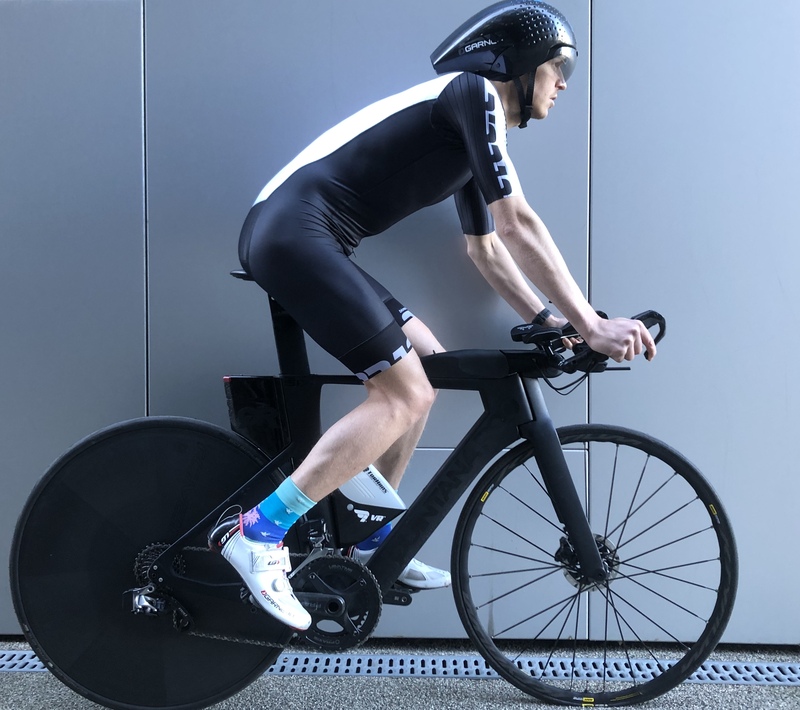 A very common sight in races, especially the latter part of them, is seeing AG-athletes with top-of-the-line triathlon bike, high profile wheels and aero helmet sitting upright(!). I have the fanciest equipment and software analyzing tools, but I did this test very simple. Ride a 4 km flat stretch back and forth multiple times with similar wattage in aero position and do the same in an upright position. Take the average time differences and multiply it with 45, which is equivalent to 180 km. The different positions can be seen under. Getting as low as possible without losing sight of the road is the goal. Sitting upright is only something I do when climbing and grabbing a bottle in the aid stations. It was a windy day, which unfortunately makes the results more «noisy». I did, however, rode the stretch both ways. 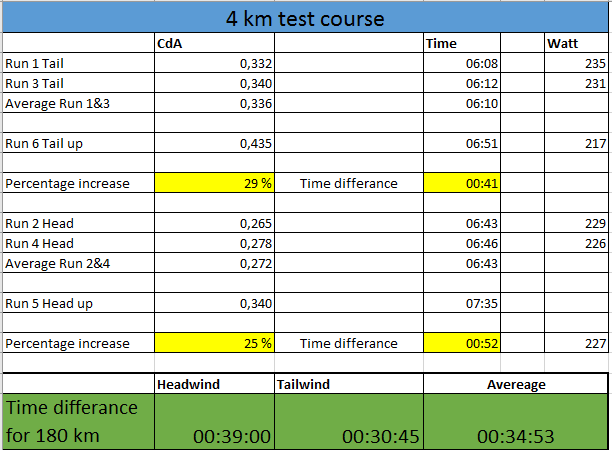 Then we can also see that the difference in headwind is bigger than tailwind, which is logical. The loss at tailwind was 41 sec, with 15 watts lower power output. At headwind the difference was 52 sec with close to identical power. Over 180 km the loss at headwind would be 39 minutes and at tailwind less than 30 (the result of 30:45 is included a 15 min loss of power equivalent to 6 minutes time loss). In average roughly 35 minutes lost of sitting upright in mixed wind conditions. 35 minutes is a lot but does not sound that much either. 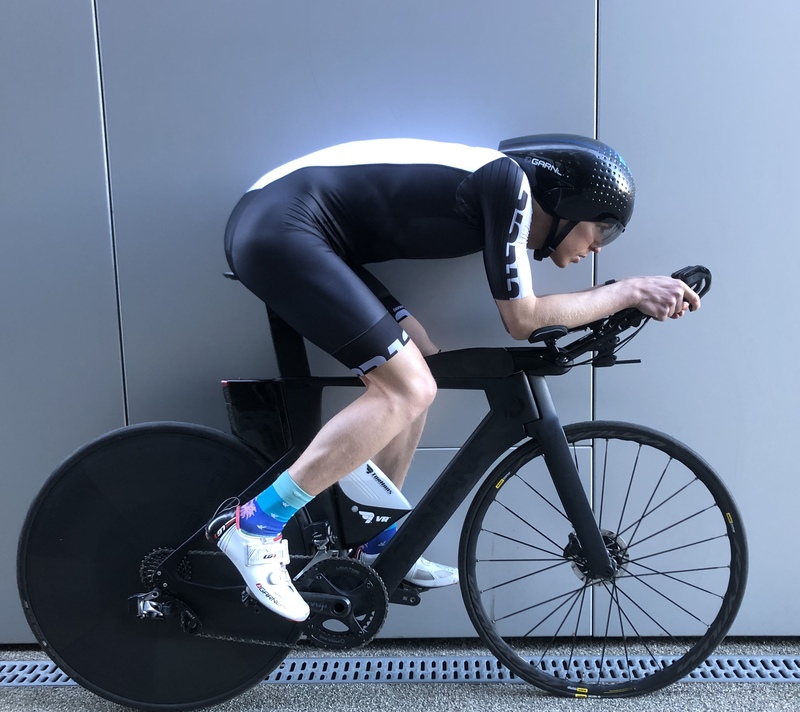 If I use the fabulous calculator of my sponsor BestBikeSplit we can calculate how much more power «Average Joe» would need to produce to compensate for poor aerodynamics. 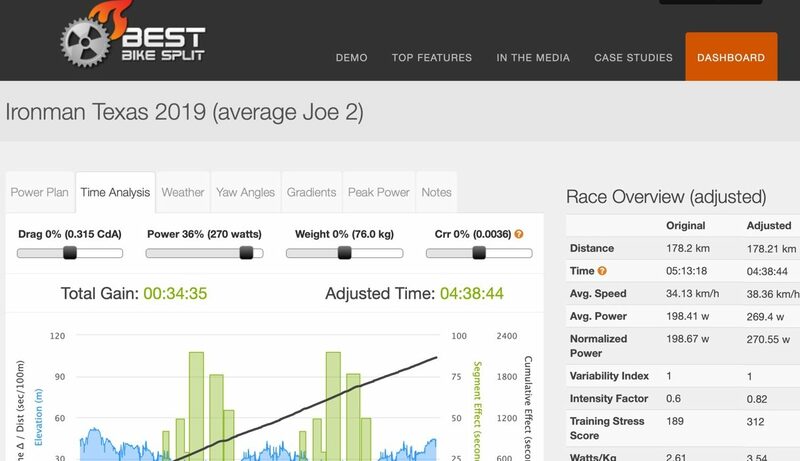 My average Joe weighs 76 kg, with an aerodynamic drag of 0,315 and just under 200watts in average power output thru the 178,2 km of the Ironman Texas course. In order to ride 35 minutes faster, he has to produce 71 more watts(!). With this information, it is all up to you. Do you want to stay in aero position or produce the extra 71 watts to compensate for sitting up? Of course, producing 71 extra watts in 5 hours is not a very easy task. With this example, I just wanted to show the magnitude and importance of aerodynamic. Your own numbers could be different. BTW, If you want to check out BestBikeSplit.com, you can try it for free. If you like it the code: TRIALLAN will give you 30 % discount off a premium membership (I don’t get any kickbacks from it, but still would love it if you tried).